When it comes to optimising storage space in your home, there is always a whole host of solutions that will allow you to make the most out of your available space – even in your bathroom! As a room that the majority of us retreat to in order to relax and unwind after a long, hard day, your bathroom should resemble a relaxing retreat rather than a cluttered, messy and unloved space! However, if you have a tiny bathroom, and struggle to accommodate your many lotions, potions and other bathroom accessories, creating a space that you actually want to spend time in can seem like an impossible task? But don’t worry! We’ve complied a list of some space-saving ideas that will allow you to tackle clutter and mess in your home, ultimately allowing you to optimise floor space and the functionality of your bathroom. You can thank us later. Wall mountable storage is a great way of optimising the floor space in your bathroom, leaving it looking and feeling clutter free! From floating shelves and wall hung baskets through to towel racks, spice racks and magnetic strips, there are a whole host of wall mounted solutions that are as functional as they are super stylish! Yes getting organised doesn’t mean that you should comprise on style and quality – far from it! Perfect for storing towels, makeup products and all the other lotions and potions that quickly accumulate, wall mounted storage is great for bathrooms with limited storage and space. In smaller bathrooms, it’s all about optimising the functionality of every possible storage possibility. For example, when choosing your fixtures and fittings, why not choose products that double up as effective storage solutions? For example, a pedestal sink with integrated storage, a cabinet over your toilet and space saving corner storage are all possible options when re-vamping a smaller bathroom. Container storage such as baskets, stacking boxes, jars and over the door caddies are not only great storage solutions, they are also perfect for adding character, charm and personality to intimate spaces! They are also ideal for storing smaller items such as cotton buds, makeup, dirty laundry, towels and anything else that can sometimes dominate the space in your bathroom. Once you have designed your bathroom, now it’s time for the fun part – accessorising! From cool, textured bath mats, fun towels through to eye-catching shower curtains and stylish mirrors (which are great for adding light and space in small rooms) there are a whole host of interesting bathroom accessories available that will allow you to inject elements of your personal style into your bathroom. 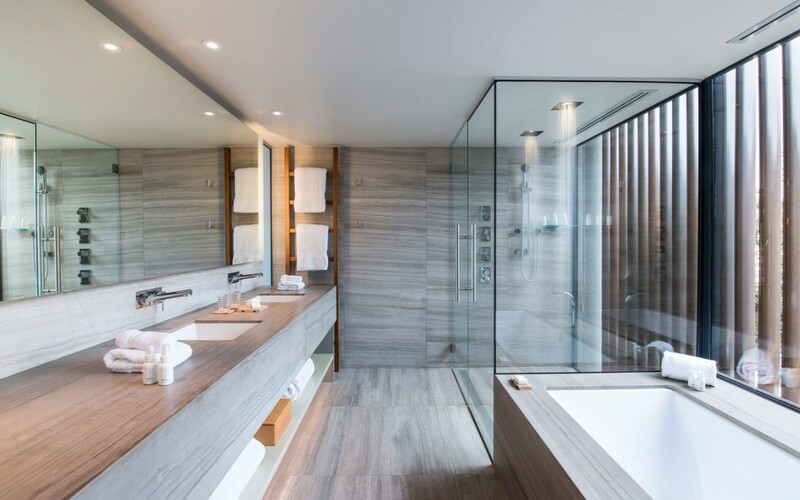 When it comes to the design and installation of your bathroom, here at Kenneth Installations in Glasgow, we are experts in our field, providing bespoke bathrooms that are stylish, durable and accommodating. For more information about any of our services, please do not hesitate to get in touch, our helpful team are always on hand to answer any questions that you may have.